When Bon Appetit‘s Andrew Knowlton named Portland, Maine, “America’s Foodiest Small Town,” he really should have called it “America’s Foodiest Large Town,” but he did pick the right town, and that’s the Maine thing. This old city abutting organic farms and waters full of fish, lobsters, and other seafood is a center of the farm-to-table, locavore movement. Fact: With 300 restaurants, 90% of them locally owned, Portland has the second most restaurants per capita in the United States, surpassed only by San Francisco. And I’m talking real restaurants, not McDonald’s. I went out on the Lucky Catch, a working lobster boat that also offers trips to civilians. 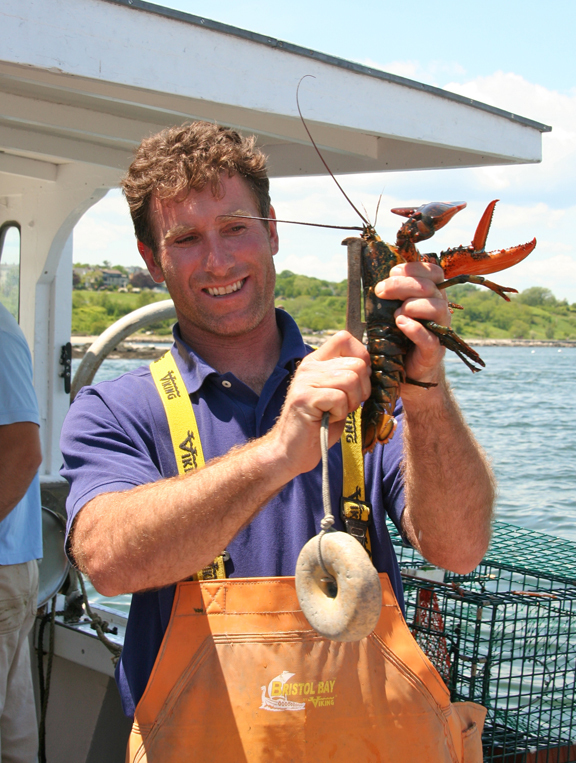 We hauled up crates, measured lobsters (“Don’t feel guilty about catching them,” said a fellow passenger. “They eat their young”), banded the keepers’ claws, and threw back more than we kept. Afterwards, four of us carried our catch (gingerly) to a harborside lobster shack, the Portland Lobster Company, which steamed the lobsters and served them with Maine potatoes, corn, and melted butter for $10.69. The beachfront hotel where I was staying, the Inn by the Sea, takes the sustainability and locavore movement(s) to heart. 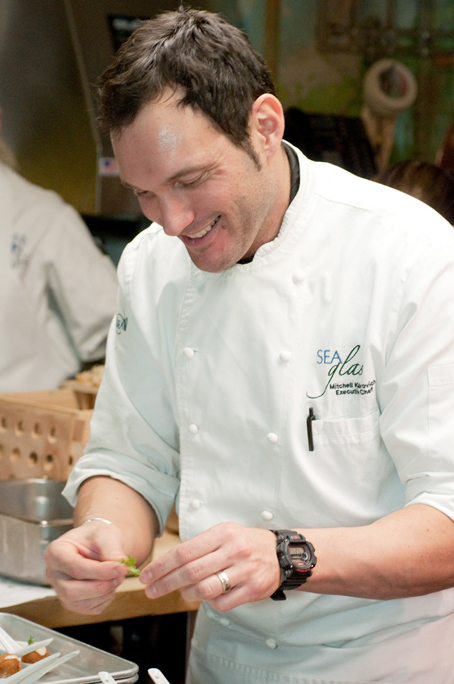 The biggest import in the kitchen is the chef, Mitchell Morgan Kaldrovich, a New Jerseyan raised in Argentina. Kaldrovich has won applause at the James Beard House, and as a transplant to Maine, the man is mad about lobster. I had an appetizer that offered a panoply of tastes and textures: a shot of rich sherry lobster bisque, a mini lobster roll with a dollop of aioli, and a lobster croquette that was all about the lobster, not the bread crumbs. Kaldrovich also offers a five-course Lobster Tasting Menu ($58). The gazpacho at the Inn’s much-praised Sea Glass Restaurant, manages to successfully incorporate blueberries, because Maine is Blueberry Nation, and the breakfast menu includes blueberry pancakes with a ton of berries. Other local ingredients, too, are ubiquitous: Instead of conventional eggs Benedict, Kaldrovich prepares fresh poached eggs on Maine crab cakes. One night at the Inn I ate a moist fillet of hake on a bed of zucchini-corn-tomato-tumeric succotash. 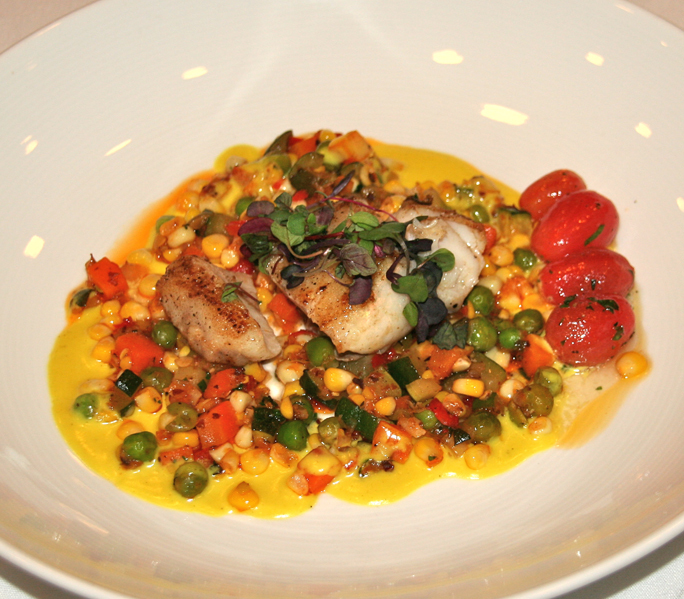 Hake is one of five varieties of seafood – the others are mackerel, pollock, redfish, and northern shrimp – that the Gulf of Maine Research Institute has identified as under-appreciated and, thus, sustainable, so chefs like Kaldrovich are finding new ways to prepare them. “The bonus is, these under-appreciated fish are more affordable,” says Charlie Bryon. 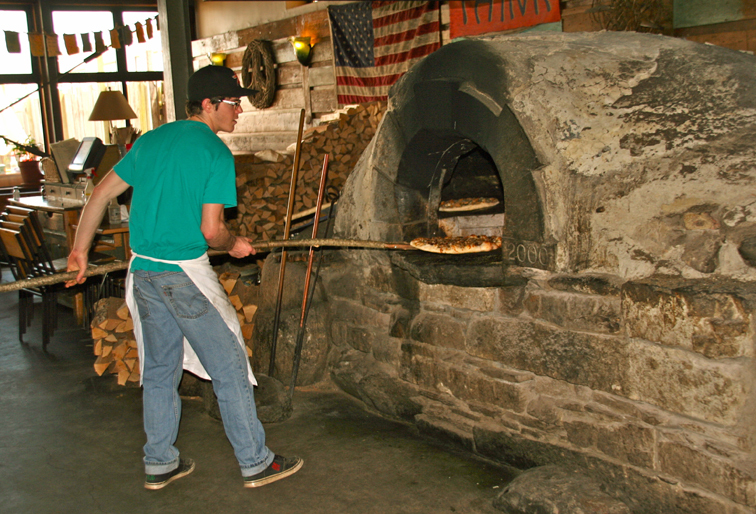 I met Bryon on a Maine Foodie Tours‘ culinary prowl of Portland. Owner of The Salt Exchange, a restaurant on Commercial Street, he served us a cioppino with the freshest, plumpest mussels I’ve ever eaten, and I’ve harvested mussels in Alaska. Other stops on the tour included Old Port Wine Merchants, where tour guide Harold Withee described the local Bartlett Wild Blueberry – what else? — wine as “a complex, medium-body dry red, not a novelty wine.” Next door, Vervacious sells homemade spice and condiment mixes like Cinque Terra Apricot Mostarda. I tasted appetizers with Sahara Harissa Rub and espresso balsamic, and these two very different condiments shared one characteristic: perfect balance. 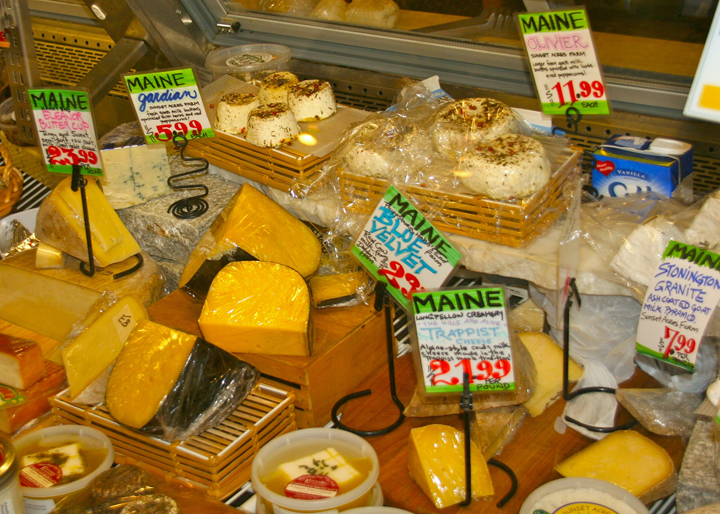 The Public Market House at 28 Monument Square is a collection of eateries and shops, one of which, K. Horton Specialty Foods, offers splendid local cheeses. After tasting a Stonington goat cheese that the Chicago Tribune has called “the Holy Grail of cheeses,” I was seduced by a Blue Velvet raw milk bleu cheese, a hardy, front-forward, creamy beauty. The Market House proves that culinary quality in Portland isn’t just for big spenders. The second floor looks like a food court for college kids, with mismatched chairs and, instead of fast food stands, small businesses like Pie in the Sky Pizza and Karmasouptra soups that serve affordable but intelligently prepared foods. Ed Wetschler is a freelance writer, the associate editor of Everett Potter’s Travel Report, and the executive editor of Tripatini. I live in the Portland area, and this story makes me want to be a tourist and try all these wonderful places to eat, stay and see! Great story, Ed. Thanks for telling readers about the way life should be. Great article. Yes, Portland is pretty special if you like food, drink, entertainment and the outdoors. I live in Falmouth, ME, the coastal community immediately to the north of Portland. From behind my house I can paddle my sea kayak into Portland and dine, listen to concerts on the waterfront by the cruise ship terminal and paddle home in the moonlight passing resting seals on ledges and to the popping sound of striped sea bass chasing bait fish. The state motto is, “The Way Life Should Be” and you know, I think they may just be right! Great content Everett! GREAT article. Portland is certainly a rare culinary jewel. Come on back for http://www.harvestontheharbor.com! Thanks so much for mentioning Maine Foodie Tours in your article. You did a wonderful job representing the Portland food scene, one we are all very proud of. Glad you could pay us a visit and hope you return again soon. P.S. 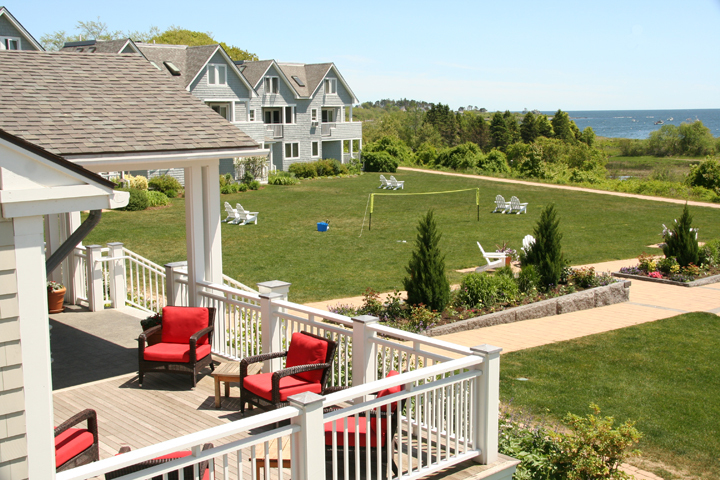 The Inn by the Sea has made Tripadvisor’s Top Ten list of Environmentally Friendly Accommodations, and MSNBC has named it to its Top 10 American Green Hotels. Well deserved, from the landscaping to the LEEDS-certified spa to the sustainable (and damned good) cuisine.